Friday was a travel day. I departed Moab, UT at Noon, MDT and headed for Navajo National Monument in Arizona. Most of you know that Arizona does not observe Daylight Savings Time, but did you know that the Navajo Indian Reservation in Arizona does observe that silliness, along with most of the rest of the country? Here I sit at almost 11:15 PM on Friday night. If I went almost due south to Phoenix, it would be 10:15 PM. Don’t you love traditions? 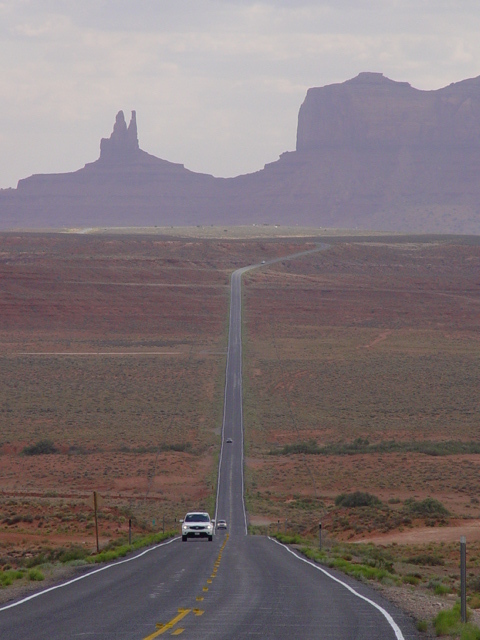 My route of travel took me through Monument Valley, split almost evenly between Utah and Arizona. Tom Hanks, playing Forrest Gump made this road famous. It was here that he “stopped running” and returned home. Arriving here at the Monument just before 5 PM, local time, I was able to hike to the closest Pre-Puebloan “alcove dwelling” before sunset. 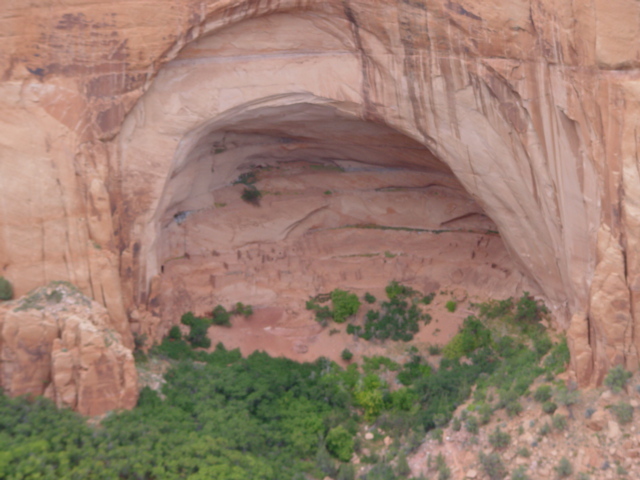 Although it is hard to discern details in such a small picture, several of the dwellings looked like they were inhabited. Considering that they abandoned the site in 1268, such longevity is a testament to their building prowess. The naturally arched amphitheater roof has assisted in the preservation of the site. 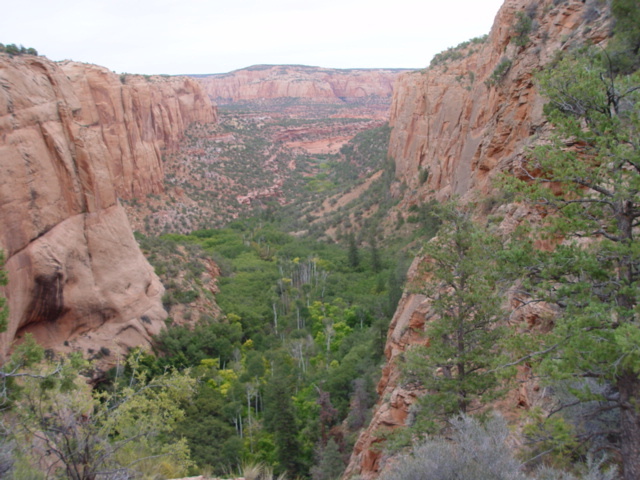 The second trail I took wound its way down into the same canyon, but closer to the headwaters. There I found a “relict forest” of Ponderosa Pines, Aspens and other “mountain species” living in the well-watered and shaded canyon. When the last ice age retreated, so too did these species in most of the arid Four Corners region. Marooned far from their cousins, these trees and shrubs mow wait (in vain?) for the next ice age. If one should occur, these species can again spread and travel to new lands. As always, it was a pleasure to be in the company of the tall pines. Huffing and puffing at the 7300 foot elevation, I made it back to the aptly named Sunset Campground in time to capture the long view towards the setting Sun. If you have a chance to visit this area, a sunset here is a remarkable sight. The unobstructed view to the west includes a drop in elevation of several thousand feet, thus giving this place a "top of the world" point of view. Tomorrow, I make the long haul to the deserts of California and the 1.4 million acre Mojave Preserve. Internet connections are spotty at best out there, so I will probably report in from Simi Valley, CA, as the new week begins. Until then, have a great weekend.